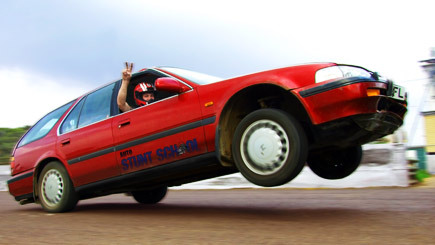 From basic handbrake turns to awesome power-wheelies, stunt car driving promises a very different day out. Start with a safety briefing before being split into groups of six. 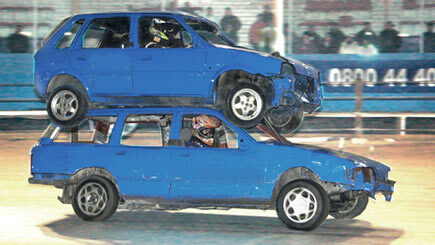 Enjoy a variety of fantastic car stunt activities throughout the day. 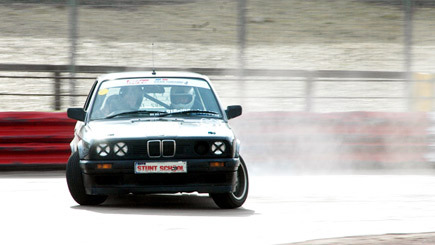 Start by mastering hand brake turns, before performing a power-pirouette with another car. Then get to grips with two cars welded together, one slapped on top of the other in Double Decker Chaos. Learn how to make the ultimate quick getaway in the Car Chase J-Turn Challenge and then try the absolutely bonkers Push-Me-Pull-You stunt vehicle, made up of two engines, two steering wheels and plenty of attitude! Prizes and certificates are given out at the end of this fantastic experience. Driving isn't all about getting from A to B, it can also be a shedload of fun and this experience is guaranteed to put a smile on your face. The day starts with some light refreshments as you are given a welcome, introduction and driver's briefing from your Race Steward. You'll be kitted out in full protective clobber and then it's into the Formula 2 stock cars for some practice to perfect your driving. Once that's complete you will be ready for the real thing, two full race heats in these genuine competition stock cars. You'll be burning round the track trying to get pole position for the grand final. Will you take the Stock championship crown? Finally, there will be a grand presentation ceremony with certificates awarded to all participants.